Under the right conditions Scrum can be a tremendous success story, but it often requires hard work to get there. For new Scrum teams it means learning to fundamentally work very differently than they are used to, such as relying on a lot more collaboration, making and delivering on shared commitments and building a high degree of trust. For existing Scrum teams it means constantly renewing the team commitment to each other, the cause, and to the Scrum framework. This includes the rather painful practice of revisiting the fundamentals and ensuring any deviations from accepted processes or practices were for the right reasons and had the right results. To have a chance at achieving high performance a new-to-Scrum team will not only need to just change their processes, but fundamentally change the culture and behaviour of the team and all of the supporting roles (that includes their leadership). Meanwhile, a mature or well-established team should never assume they are high performance; they should always be checking (and rechecking) that they are still living the Agile values. Jerry is offering a number of SAFe training opportunities in Toronto, Ontario from September through December 2016. More details here. 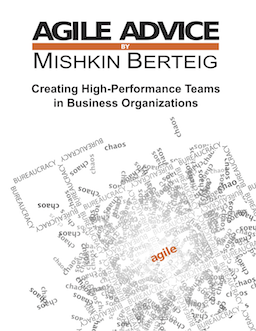 Mishkin Berteig dispels myths in some of the most challenging aspects of Scrum. 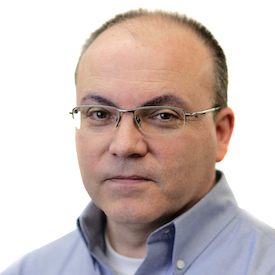 Have you been in a team where the ScrumMaster was also a Project Manager? Did you know that’s not really the role of a Scrum Master? Or have you been participating in retrospectives which were public? Did you know they are not supposed to be? The thirteen concepts addressed here bringing clarity and insight to Scrum Masters, Product Owners and team members. These key principles of Scrum, when practiced regularly, improve the effectiveness of any team. Learning a new way takes time but when the principles are clear it is easier to adopt them and implement them with focus and success. Vandana Roy writes a most succinct and clear description of Scrum and Kanban in this exceptional article. Although I was first introduced to OpenAgile in 2013, Scrum and Kanban are relatively new to me this year. While not working in a tech-based department which uses these methods, I am interested in learning as much as possible about each system. I found her explanation and chart very helpful. Announcement: New Upgrades to The Scrum Team Assessment! For those who are not familiar, The Scrum Team Assessment is your virtual Scrum coach! Using this simple assessment, you can find out how your team is doing and ways to improve. Recently, new upgrades have been added to the Scrum Team Assessment and it is available for use free of charge for a limited time. This includes measurement of the general process, the Product Backlog, the teamwork, and effectiveness of the ScrumMaster and Product Owner. The parts of Scrum you aren’t doing well that if you improve will give you the best return on your effort investment. Specific, practical, applicable to your team right now! This is the harder stuff that involves the team’s environment, culture and processes and which can make a huge difference in the long term… but requires some up-front effort. Practical suggestions to explore the creation of a high-performance Scrum team. How much money is your organization wasting on poor performance, and how much can be saved by following the recommendations in the report. Eye-opening, and the perfect motivation for management support of improvements. Compare your team to other teams that have participated in the Scrum Team Assessment. This comparison gets better and better as more teams use the Scrum Team Assessment. Recommended Resources – Tailored to your team. Books, articles, products, training and other services that will help your team rapidly improve. Read more about the Scrum Team Assessment and try it for your team! Needless to say this can become an extremely complex challenge! To be absolutely clear, I’m not proposing there is a single formula or recipe that works, but I do believe certain criteria can dramatically improve your Scrum team’s chances of success. To that end here are 10 tips (plus a bonus) that may help you focus your efforts towards building a successful Scrum team and experience. Currently the Scrum Guide recommends that Scrum teams will work best with three to nine people (not including the Scrum Master and Product Owner). Too few people on the team and you risk not having enough technical expertise and coverage of critical skills. Too many people on the team and you may become challenged to truly collaborate effectively. Remember, this is just a guideline and you may be successful with different numbers, you just need to be aware of the impacts and make sure the gaps are covered. Scrum teams really should be balanced and cross-functional. Having all of the necessary skills on the team for delivering a complete solution (not roles, but skills) will encourage and support end-to-end thinking all the way from design to implementation. This approach will result in a better solution and a superior customer experience, but it relies on whole team collaboration. Note this does not mean individual team members need to be fully cross-functional, but what is important is that all the critical skills are represented on the team and each team member contributes their domain expertise towards the collective strength. For increased chances of success, a Scrum team should leverage technology and engineering practices whenever possible. Techniques, skills and tools that facilitate Agile approaches such as Continuous Integration, Automated Testing and Test Driven Development all make technical excellence, continuous improvement and truly being “Done” every Sprint a possible reality for a Scrum team. Scrum team members should be allocated to as few different initiatives as realistically possible. The more projects you are allocated to, the more task switching you may have to perform, the longer it will take to complete any one item, the thinner you will be spread and the less effective you will be. In other words, people (and teams) should limit their work in progress as much as possible and focus on completing those things that truly matter most. This is true for any framework, but it is particularly emphasized with Agile ones. Note there is a slight but fundamental difference between being allocated to a team and being dedicated to a team – that is a topic for a future article. Your Product Owner needs to be informed, available, business-savvy, knowledgeable, collaborative, and empowered to make decisions about what to build and what order to do it in. They also need to be a strong negotiator and very capable at conducting business driven trade-offs. In the end, a Product Owner needs to effectively communicate, convey and deliver on a clear vision to the Team and Stakeholders to ensure a useful solution is created. Without empowerment, knowledge, and vision in a Product Owner the team will struggle. Remember that the Scrum Master has authority over the process but not over the team. As the process champion the Scrum Master may sometimes even find themselves in a conflict between maintaining the Scrum rules and guiding the team as they discover the need to adapt practices to better align with their own needs and ways of working. In that regard a Scrum Master should understand and embrace the servant leader role. In the end, a Scrum Master needs to be the person that helps the team make decisions, but not the person that makes decisions for them. Leadership is the key to driving change and progress. Executives and managers of Scrum teams need to nurture the environment, let go of the “how”, allow the team to learn from mistakes, and encourage and coach the growth of the collective team knowledge and overall experience. Understanding the dramatic impact leadership has on a transitioning team is also very critical, as a single word or direction from the executive level can single-handedly affect (either positively or negatively) the team’s future behaviours and resulting successes or failures. And without a true environment of trust built by the leadership, team members will often shy away from taking a risk to try something new or unknown. There must be a consistent commitment and engagement from all parties in the organization towards adopting the Scrum framework, Agile methods, and thinking. The initiative must be an open, collaborative experience and there must be complete understanding and alignment by all parties in assuming the risks and rewards as well as sharing in the effort. This includes not only business partners and their IT counterparts, but their leadership as well as all of the people and teams supporting an Agile initiative. Co-located teams are more effective communicators and can sometimes experience increased productivity by up to 60% if situated together in the same room. More simply stated, the greater the dispersion factor, the greater the challenge of collaboration. Note that time zones are often considered the largest dispersion factor and can have a greater impact than geography. 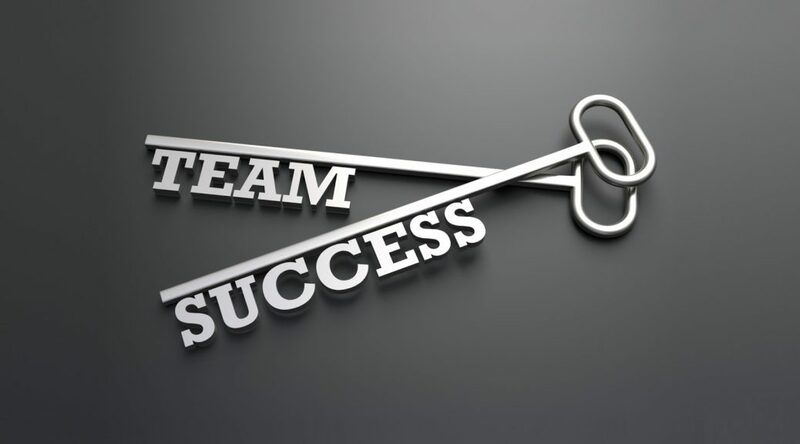 Although it is strongly recommended that teams be co-located, it is not mandatory to success. In fact, certain Agile practices have factors, tools and techniques inherent to them to help bridge some of the shortcomings of increased dispersion, such as a higher reliance on frequent collaboration and communication. But to be clear, they do not replace the value of face-to-face conversation, they are merely a crutch to not having it. To ensure consistency and a shared understanding, whole teams (including the business, IT, and their leadership of executives and managers) should receive a common skills development and education experience in proper Agile Thinking, the Scrum Framework, aligned practices and mindset training. Coaching should then reinforce this new knowledge and encourage appropriate behaviours to turn these new practices into habits. Indeed, learning should be a continuous cycle and endless journey towards excellence, and Scrum leverages this through frequent retrospection and continuous improvement. Mutual respect and caring are the cornerstone to the team’s success and it needs to be integral to their culture and beliefs. Not just saying but living the belief there are no heroes or scapegoats. Everyone, including the business, executives, team members and leadership must collaborate and share in celebrating the successes as well as accepting responsibility for setbacks and failures. Everyone must have the right attitude and commit to not only DOING as needed by attending the ceremonies or following the process and practices but truly wanting to BE part of the solution by willingly changing the way they think, work and collaborate. At the end of the day your goal should not be to become Agile or Scrum savvy. Instead your real goals and outcomes should align with achieving the key benefits of Agility, and with what Scrum offers. These should include (but are not limited to) increased customer satisfaction, faster delivery of value, improved feedback loops, adopting a continuous improvement mindset, improved employee morale and increased employee retention. 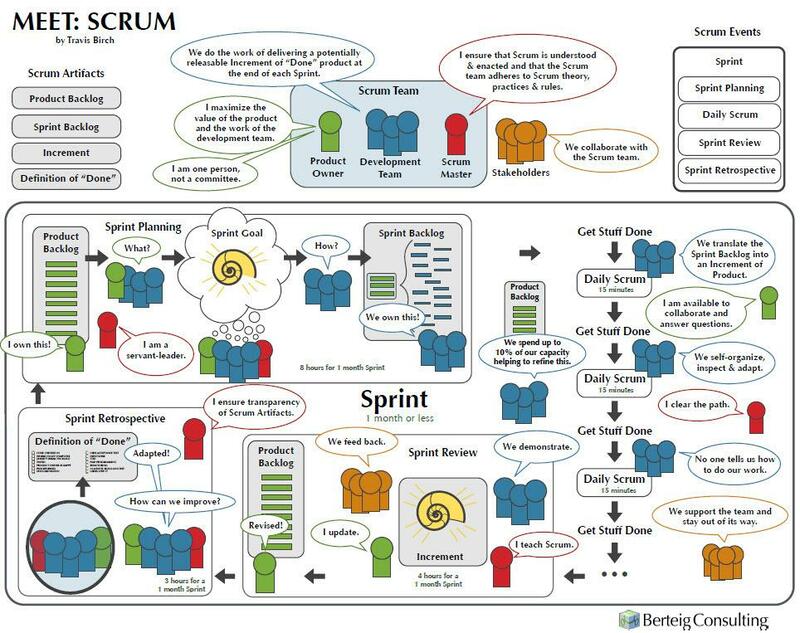 Scrum is just one of the many tools or approaches you may choose to get there, but it is certainly an important one to consider if these outcomes align with your goals. For Scrum to be truly successful at your organization, you must dramatically transform your very culture and business approach. To be clear, this is not easy to do but the rewards are well worth the effort. By embracing such a transformation, the adopted change in behaviour, beliefs and practices should result in a more successful Scrum experience and a higher degree of satisfaction for both your customers and employees. Can you think of other success factors that might help your Scrum team succeed? There are lots, so feel free to reach out and share them below. Thanks to Photographer: Chris Potter for this awesome photo. March 9, 2016, I took advantage of a free webinar offered by the Scrum Alliance, with the above title. We were told 5,000 people were attending! Angela Johnson’s presentation was based on information from both the Scrum and psychology communities. First, she reiterated many ideas that are commonly understood about the role of a ScrumMaster (SM): an internal coach, a servant leader, an active facilitator. The SM makes sure that the rules of Scrum are followed by a team, but focuses on interactions and outcomes. As in football, the SM is truly a coach. She then turned to psychology to discuss behavioral style differences in people. Four distinct personality types were explored: the Analytical (asks how? ), the Driver (asks what? ), the Amiable (asks who?) and the Expressive (asks why?). She believes a SM might help team members identify which personality quadrant they belong in so as to better understand each other. As well, in knowing the type of people who are in his/her team, a SM could adjust his/her communication and behavior to better reach each type. I think it would be an interesting exercise for a team to go through personality types at least once. The exercise itself, besides creating deeper understanding, could also lead to some “aha” moments and laughter. She then added tips about supporting versatility: a) you can only create an environment that encourages self-motivation rather than motivate others directly; b) assist people to interpret what you say, i.e. “What I’m about to say is to help…etc;” c) don’t overlook a variety of orientations, whether they are cultural, or gender-based. She advised that we need to be aware that orientation is very important to consider as the teams we work with have a greater number of people whose first language is not English. She spoke about Scrum teams working within larger organizations. If the goal of Scrum is to produce greater value more quickly, then a SM should never have his/her attention split between more than one team. The SM has to be a teacher inside of an organization, to help management understand best practices – the SM is really the coach for a team, the Product Owner and the organization. Old habits die hard, so educating takes time. Don’t allow language to get in the way of this process. Don’t say: “That’s not Agile! That’s not Scrum! You’re doing it wrong!” Instead say, “When you say Agile, what do you mean?” or, “What is the problem we’re trying to solve?” A SM can always point out that we have a choice to work in the old way, or to try something new. We have an opportunity to improve the way we work. Agile and Scrum, she emphasized, are not destinations – they are about continuous improvement. This summarizes just some of the valuable ideas Angela Johnson presented.